Or Physical Education classes are taught by Ms. Jean, who herself is an alumna of Ascension Catholic Schools. In gym class, which each class has at least once a week, scholars learn the rules of team sports and concepts of sportsmanship. 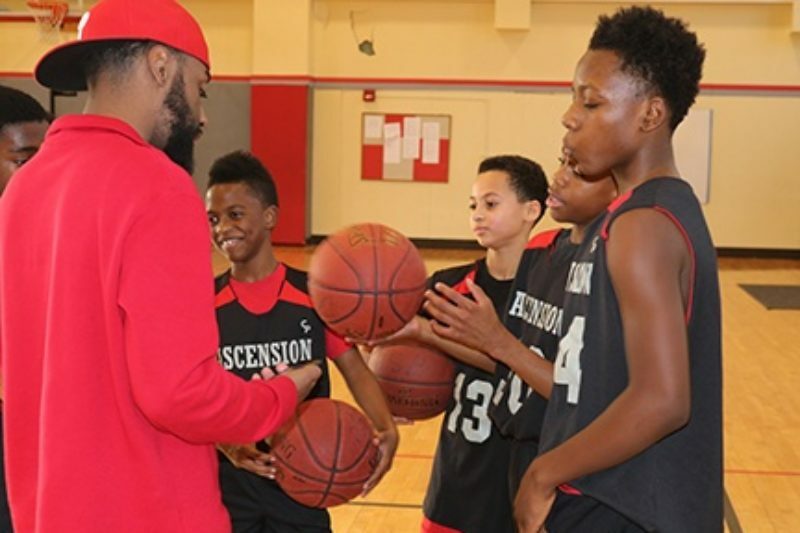 Ascension competes in the Monsignor Coates Youth Organization, which was founded by and named for a long-time pastor at Ascension. Students from grades 3-8 can participate in baseball, basketball, soccer, softball and volleyball. Girls on the Run is an after-school program that uses the power of running to prepare 3rd – 5th-grade girls for a lifetime of self-respect and healthy living. The group meets twice a week, and there are fall and spring seasons. After weeks of practice, the girls, their coaches and supporters run a 5K. Since the early days of our Youth Organization, more than 50,000 young boys and girls have played on teams or have participated in one of the many other activities we have made available over the years for Catholic School and Parishes in the Minneapolis Area.